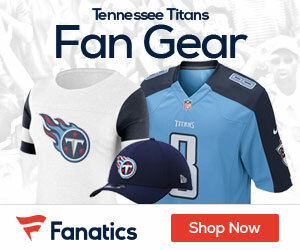 The Titans wanted to get more physical on the offensive line, and made a statement with the 10th overall pick in the 2013 NFL Draft, grabbing Alabama OG Chance Warmack. The guard has dominating strength at the point of attack, and also has mobility to clear the way for Heisman Trophy winner Mark Ingram, 2012 top five pick Trent Richardson, and probable first round pick Eddie Lacy over the last three seasons. His toughness and durability are outstanding, and he grades out as one of the elite talents in the 2013 draft. He will start day one for the Titans, and should be a huge asset for the Titans. Summary: There are some like NFL Network’s Mike Mayock who believe Warmack is the best player in the 2013 NFL Draft. That is lofty praise for an interior offensive lineman, but Warmack was a dominant force during his collegiate career. Warmack broke into the starting lineup in 2010. The sophomore did an excellent job opening holes in the ground game from the start. Over his junior and senior seasons, he improved his pass protection to be equally effective in preventing pressures. Warmack did a tremendous job in his junior season of opening up running lanes for Trent Richardson as a good defense and tough ground attack carried Alabama to a National Championship. 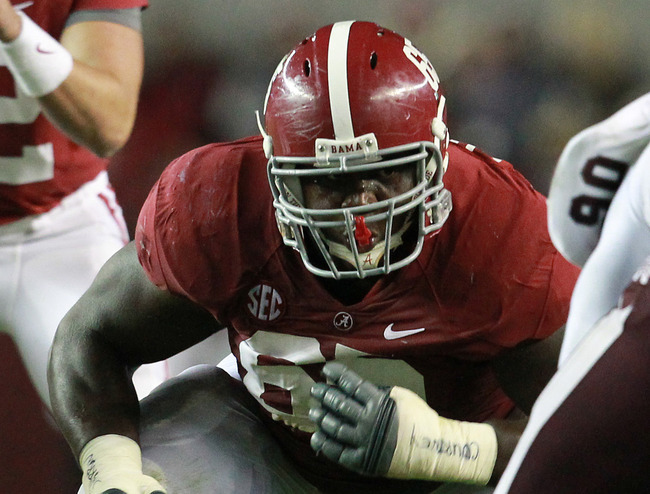 In 2012, Warmack was an absolute force for the Crimson Tide in a repeat title run. He blasted open holes in the ground game throughout the year. Warmack concluded the season by playing his best football. Against Georgia, Alabama had a lot of success pulling Warmack around the right side to open up holes for Eddie Lacy. Warmack was beaten for a sack by Bulldogs defensive tackle John Jenkins, a potential first-round pick, and that was the only sack this writer recalls Warmack allowing in his senior season. In the National Championship game against Notre Dame, Warmack put on a clinic. Not only did he own the line of scrimmage against some good Fighting Irish defensive linemen, but he was equally awesome at springing Lacy with blocks on the second level. Warmack had a lot of success taking out Irish linebacker Manti Te’o. The superb game by Warmack capped off a great career. Warmack should be an immediate starter in the NFL and an asset in the run game. He should upgrade his team’s ground offense. Warmack can blow defensive tackles out of their gap to open up running lanes. He is also great at pulling or firing off the line to hit blocks on linebackers. The NFL is a passing-driven league and Warmack should be a reliable quarterback-protector quickly. He will have a bigger adjustment getting used to pro speed-rushers than he will in the ground game, but Warmack is so quick, strong and athletic that it shouldn’t be long before he is rock-solid in pass protection. Bull rushes are completely ineffective against him as he has a powerful base with strong hands and great knee bend. While Warmack is shorter than the ideal, it can be an advantage with natural pad level against taller defensive linemen. It shouldn’t be long before Warmack is a challenger for the Pro Bowl, which could happen as soon as his rookie year. He has the upside and skill set to be one of the best guards in the NFL. Warmack is a very safe pick and that is why he looks capable of bucking the trend that keeps guards outside of the top-20 picks.